AKIPRESS.COM - Russia sees intentions of the US and the West in general to impede the Astana process for the Syrian settlement, Russian Foreign Minister Sergey Lavrov told Tass after taking part in a session of Turkey’s ambassadors and permanent envoys to international organizations. "We won’t probably see any direct linkage with the Syrian crisis in the statements made by the US side when it declares sanctions against our countries (Russia, Iran and Turkey)," he said. "But objectively, of course we feel the wish of the West, and first of all the US but not only, to prevent the Astana process from achieving concrete results and present it as not quite successful," he said. "These attempts were seen earlier, and most likely they will continue," the diplomat added. 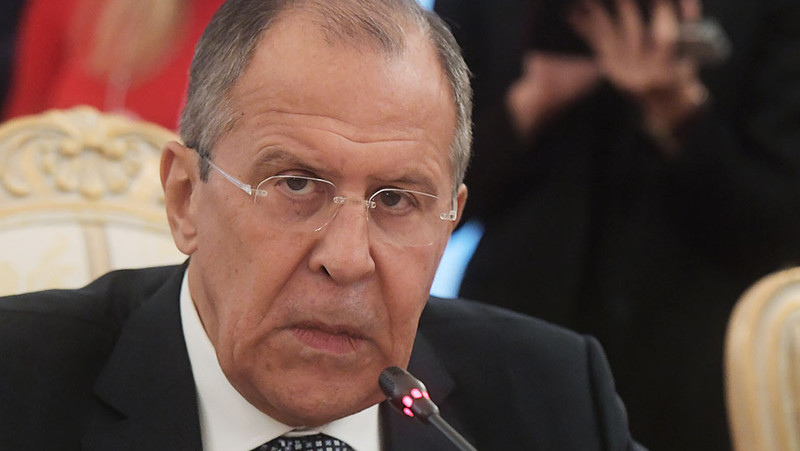 "But the fact that Turkey, Russia and Iran, having not always concurring and sometimes far from concurring stances on this or that aspect of the Syrian crisis have found wisdom and willingness to settle concrete problems, has reversed the situation in Syria," Lavrov stressed. "Islamic State (terrorist organization outlawed in Russia) has been practically defeated with only some isolated small groups remaining. The main target for the present moment is Jabhat al-Nusra (also outlawed in Russia)," he added.